What’s on the minds of homeowners across the country? We want to know. So we asked 2,000 homeowners and 500 potential homeowners about their perspective of residential real estate. The result? 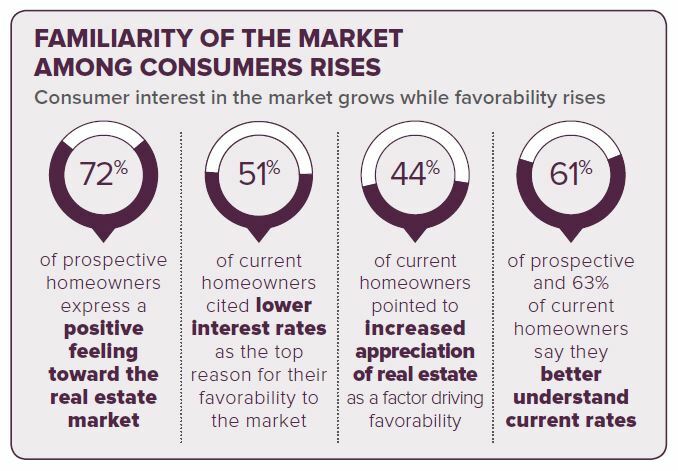 Some pretty cool insights about general perceptions of real estate and the U.S. economy as well as ways we can help make the process of buying or selling easier for everyone involved. And we’ll continue to ask. Are people confident in their housing investment and what are their priorities now? How do they perceive home value today and what plans do they have for the near- and long-term? With the real estate downturn in the rearview mirror for many, have people’s perceptions of real estate changed? We ask, all so that our agents have even more knowledge. Just another reason why they’re good to know. Findings will be released in national press announcements, the monthly Homeowner Sentiment Survey Video Series and more.